It’s that time of year again - showcasing our educational technology clients to the world gets us up and running for a successful 2016. Our annual visit to the Bett Show in London always makes for a great start to the new year – and this January was no exception as we worked hard to promote our clients working in the world of education technology. It’s always an enormously busy time for us – a lot of preparation goes in to ensuring that our clients get maximum bang for the bucks they invest in attending a big show like Bett. But it’s hugely rewarding as all that is new and exciting in education technology is showcased to an international audience. Preparation is key. There are hundreds of exhibitors at events like this and it’s important to consider how to make your voice heard above the general hubbub. We start working on this months in advance. A well-planned and professional approach to this type of business event can help you achieve any number of objectives: raise your corporate profile, change public opinion, present a new strategy or campaign or launch a new product or service. This year we had four clients at Bett – 3P Learning, London Grid for Learning, BlueSky and WisePay. Nominated for a terrific 10 Bett Awards between them – a great achievement in itself – special congratulations must go to London Grid for Learning, the not-for-profit schools purchasing consortium, which scooped the 2016 Bett Award in the category ‘Primary Digital Content’ for its new augmented-reality KS2 resource, ‘Maya: a journey through the Maya World’. We’ll be using this prestigious win to raise LGfL’s profile (and sales!) in the coming months. Awards like these help gain recognition and improve the prospects of any business – do get in touch if you’d like to see how we could help you win something too! 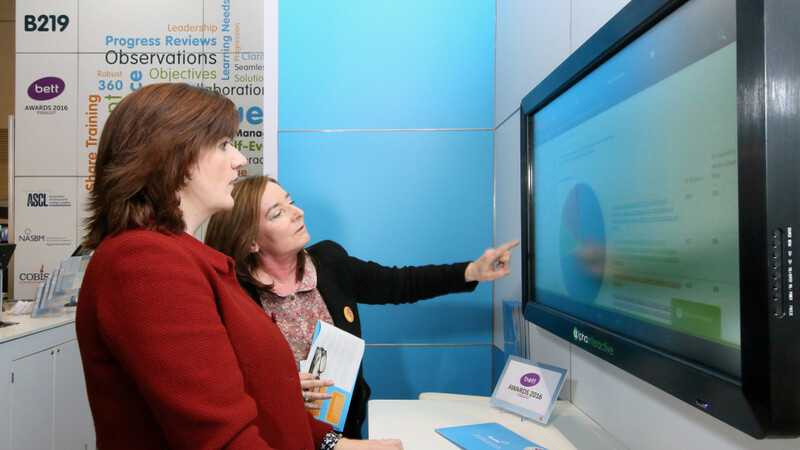 Another highlight for us was the visit of Secretary of State for Education, Nicky Morgan MP, to the BlueSky stand. Here at Livewire we are used to liaising with ministers, officials and celebrities to support our clients’ marketing activities – yet it’s always an adrenalin-fuelled process as their schedules are often ‘fluid’ to say the least! We were able to interest Ms Morgan in visiting BlueSky because we continually monitor her political agenda and spotted an issue which matched perfectly with one of BlueSky’s strengths. Elsewhere around the show we organised and hosted dozens of editorial meetings with key journalists, which has resulted in columns of coverage to come as well as ensuring our clients are on the radar for upcoming features. Equally as important, we set up numerous business networking opportunities for our clients’ key executives. Would you like your next appearance at an exhibition to be a resounding success? We can handle it – from product launches and roundtables to speaker opportunities and editorial and networking meetings, our team will take care of every detail.